When I was a kid Easter was one of my favorite holidays. I LOVED coloring the eggs and searching for them the next day with family. I especially loved it when the Easter Bunny would surprise us with a special egg that we had never seen! How did that bunny do it? Hee. 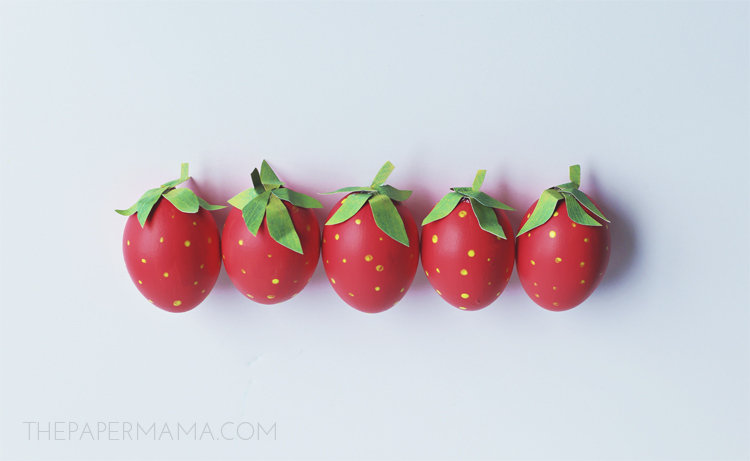 How fun would it be to surprise the kiddos with these strawberry eggs? I know I would have loved finding one of these special eggs in my basket as a kid. Blow the yolk out of the eggs. You can follow my detailed how-to over on my blog. 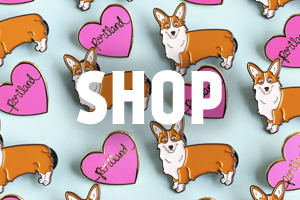 It’s pretty easy to do. Basically you use the needle to poke a small hole on one end (I put the small hole on the pointy part of the egg for the strawberries), then use the needle to make a slightly larger hole on the other end. 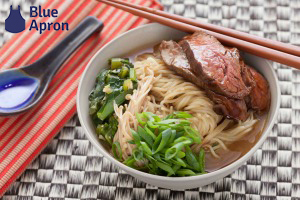 Put your mouth over the small hole and blow the egg into a bowl. Time for omelettes! 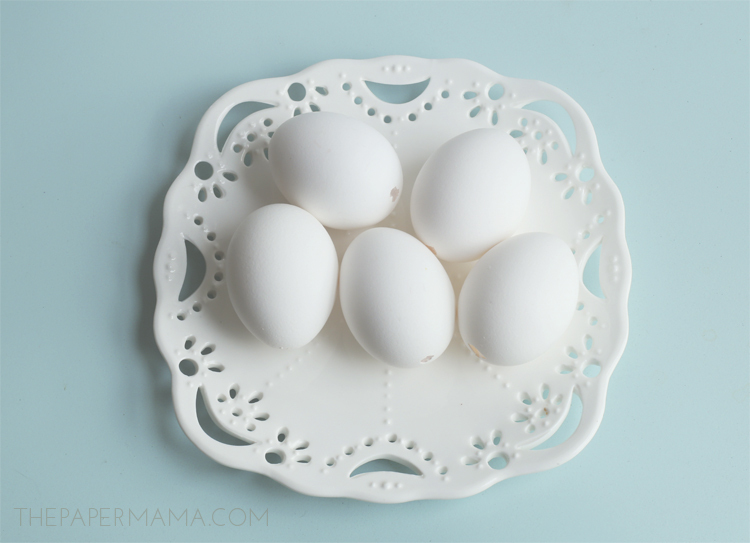 Run some water into the egg, blow it out, and let the eggs dry completely. 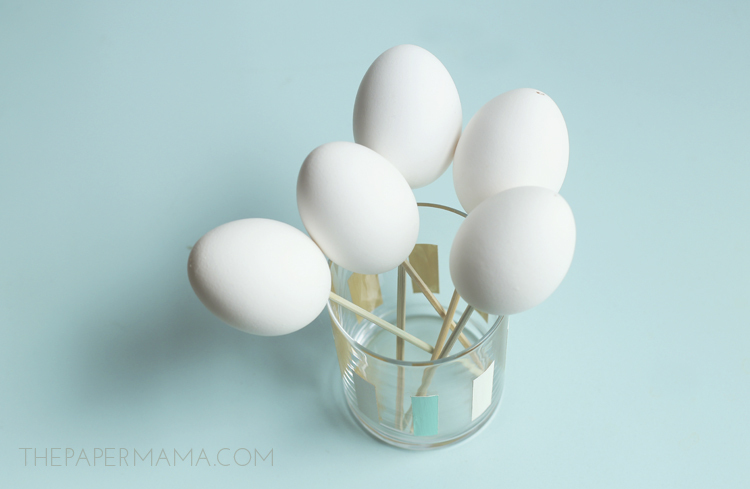 Put the bamboo skewers into the larger hole of the egg and place in a cup to support the egg for painting. 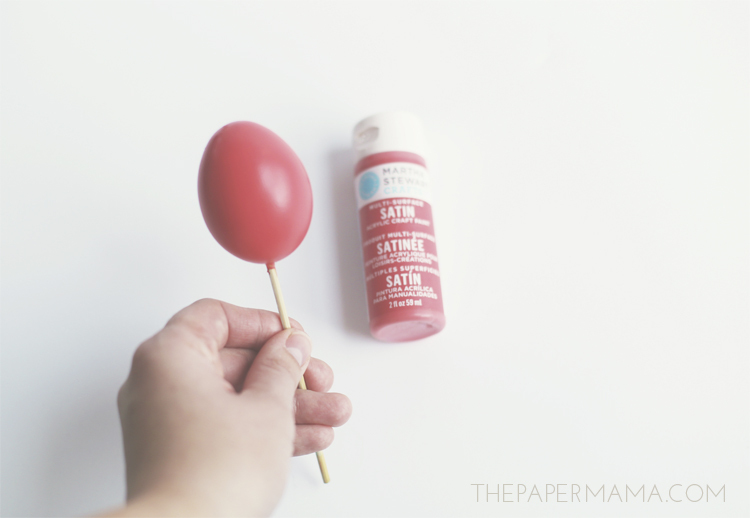 Using the 1/2 inch wide brush, paint the eggs with the red paint. I only needed one coat of paint for my strawberries. Let the red paint dry completely. 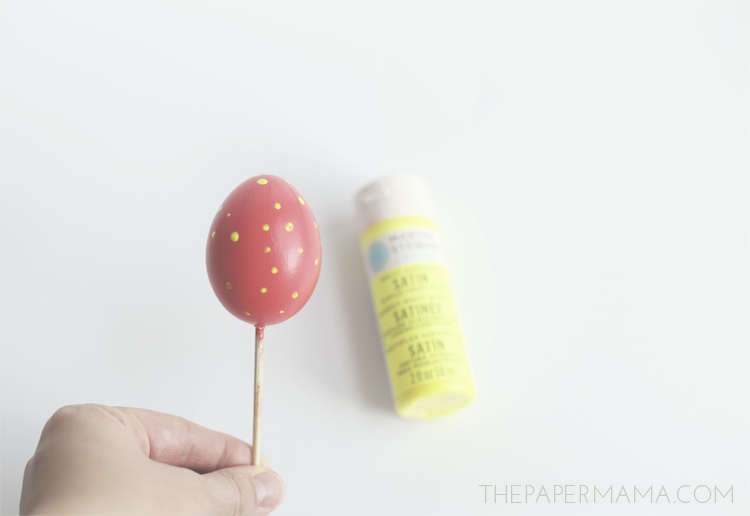 Using the small pointy brush, paint little dots with the yellow paint all over the egg. These are the seeds. Let the paint dry completely. 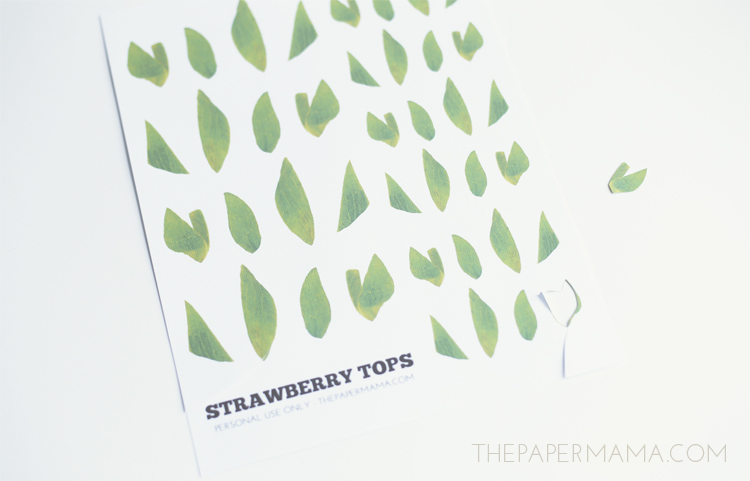 Print out the free Strawberry Tops Printable. 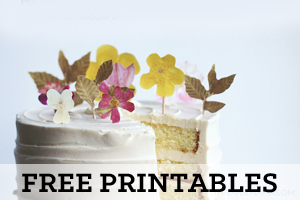 I provided a front and back so you can print the leaves double sided. 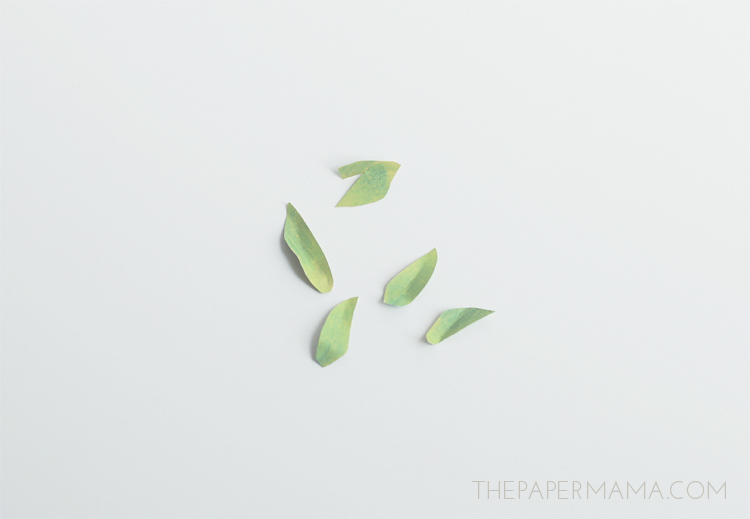 Cut out the leaves. 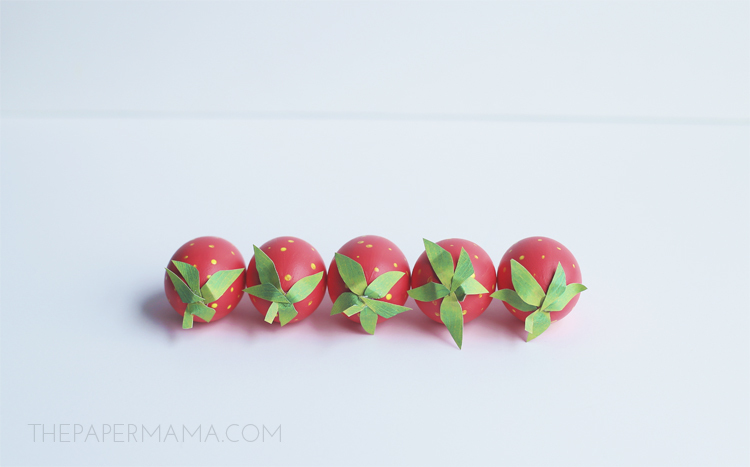 Gently fold parts of the leaves to make them look like real strawberry leaves. Use the hot glue to attach the leaves. You are done! 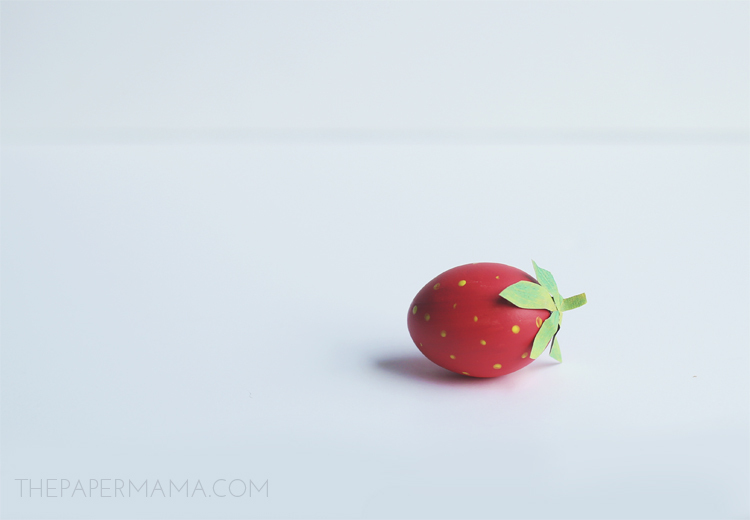 How cute are these little “strawberries”? P.S. I was paid contributor on the HP Create Blog. 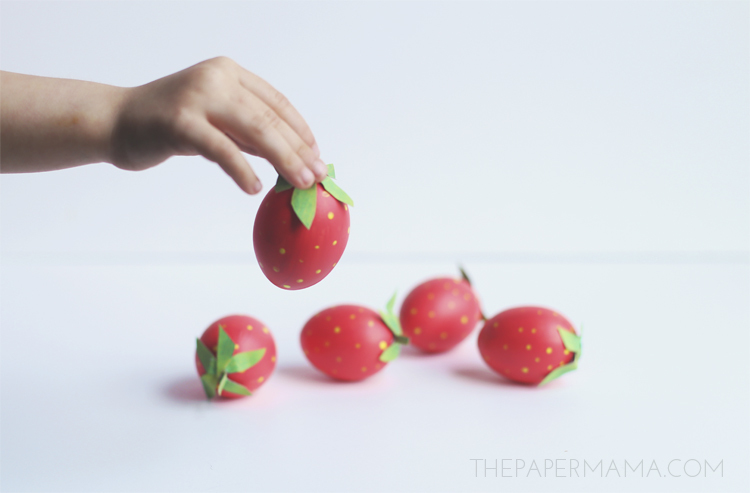 Ok, these are officially the cutest Easter eggs that I have seen yet! Absolutely adorable!